Holiday Gifts for the Women in Your Life | Breezy Mama Breezy Mama - Expert parenting advice, celebrity interviews, product reviews for kids, moms and babies and more! In my opinion, women are really easy to shop for–I had to pick and choose what would appear in this gift guide because I had so many favorites! However, even though (I think) the majority of women are easy to shop for, there’s always that ONE person on your list that may stump you. Fear no more dear reader, as there is bound to be at least one item listed below that will be perfect. And Ladies, don’t be shy about forwarding this post to your husbands letting them know what you wouldn’t mind opening this holiday season. Have fun! I love initial charms, and there are so many beautiful ones out there, that it’s hard to pick my favorite. So why this one? I love the vintage feel of the script letter, as well as the gold. 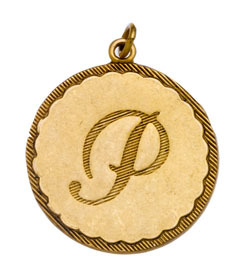 And, at only $24.00 per charm, it’s one of the most reasonably priced ones. Add a necklace for $24.00, and you have yourself a terrific present. Initial Charm, $24.00 and Necklace, $24.00. Click here to purchase from Chasing Fireflies. What woman would be caught without at least one tube of lip gloss in her purse (or in her pocket)? 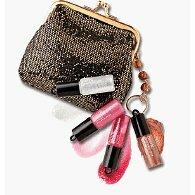 Make it even easier to never forget by giving this adorable purse with four mini glosses attached. She can pick one for every mood! $12.50. Click here to purchase from Amazon. Tell your best friend, your sister, or that special female in your life what they mean with a Momiji doll. Super fun, and cute to boot, these dolls all have their own personality and saying. They even have a secret compartment where you can stash a note for the gift recipient. Great time to tell your sister that you really do love her, even though she borrows your clothes without telling you. $12.00. 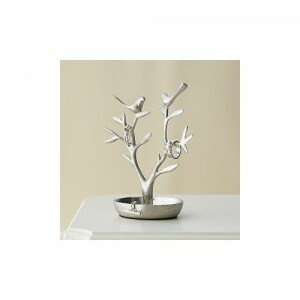 Click here to purchase from Uncommon Goods. 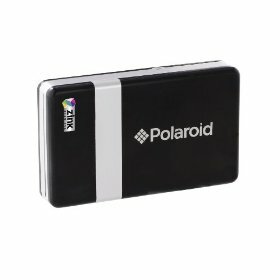 The next generation of Polaroid is here. This handy gadget lets you print straight from your digital camera or blue-tooth enabled phone, wherever you may be. It’s the size of a deck of cards, so it’s easy to transport. Great way to make memories last at your holiday family dinner. $29.99 (!!). Click here to purchase from Amazon. I have a tree like this and I don’t think a woman has ever stepped foot in my room without complimenting it. A wonderful gift for anyone in your life, the catchall makes it easy to display and store your jewelry so you don’t forget what you have. $29.95. Click here to purchase from Amazon. As you know, we here at Breezy Mama love all things owl, so something with the bird had to be included. 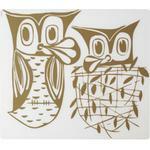 I can’t get enough of these placemats–I think they are a HOOT and would be great as a conversation starter for a sophisticated dinner, or the perfect backdrop to macaroni and cheese. To sum it up–they’d be perfect for anyone. $17.00 each. Click here to purchase from Uncommon Goods. Want some gift ideas before you get started? Check out Breezy Mama’s gift guide series! I LOVE the jewelry catchall! I just put it on my wish list and emailed it to my hubby! I also love the initial necklace charms. Thanks for all the great gift ideas! I think it’s so hard to shop for a one year old. And I’ve also added a few things to MY wish list ;).